Home Lifestyle RUSH!! 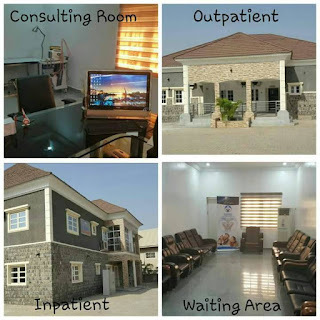 El-Rapha Hospitals and Diagnostics Centre Now Open In Abuja. RUSH!! El-Rapha Hospitals and Diagnostics Centre Now Open In Abuja. One of Nigeria's most health oriented Clinic; El-Rapha Hospitals and Diagnostics has been opened in Abuja. The hospital which is in the care of a specialist is managed by a seasoned Obstetrician & Gynaecologist. For urgent health services visit at Plot 930, Salihu Iliyasu Street, after Holy Family Catholic Church, Life Camp. You can take a tour around the up to date facilities of the hospital. Call 08099930002 for enquiries.